At your site you probably have a number of mosses and lichens growing. For TWO MOSSES, if it is possible for you to non-destructively collect a small (less-than-finger-sized) piece of moss (enough for lab identification, do so, and bring them to lab this week. 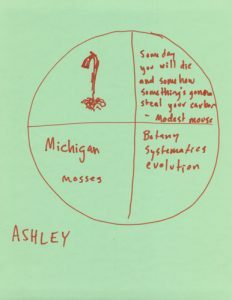 If you CANNOT gather moss from your field sites, get them from some other location –any other location. At least one of the mosses needs to be new (not one of the 8 we learned in class). This ought to be fun! For LICHENS, let’s not collect them (because lichens are too slow growing and often are tightly adherent to the substrate). 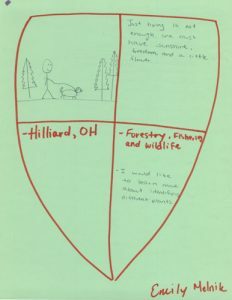 ID them in the field using your “Common Lichens of Ohio” field guide with the wonderful amazing spectacular terrific photos and snap your own pics. 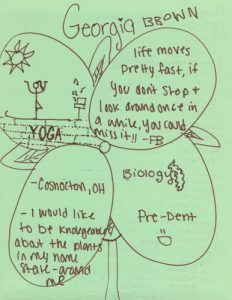 Post them on your “Plants of ____” web page. This ought to be fun! 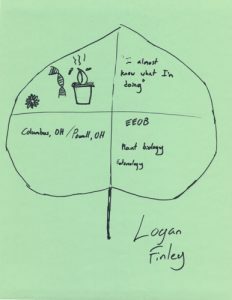 Now that you’ve been to your botanical survey site a few times and have a good idea what is there (and have started your written report …right??) the world is keen to hear more of what you’ve discovered! Let’s get some practice using the coefficients of conservatism (CC) assigned to each species by Andreas et al. (2002). 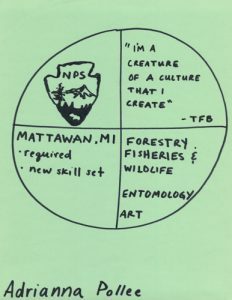 The CC, with values ranging from 0 to 10, is an estimate of the degree to which a species is associated with high-quality natural communities similar to those which existed in pre-settlement times. Exotic (alien, introduced) species are not assigned CC values. 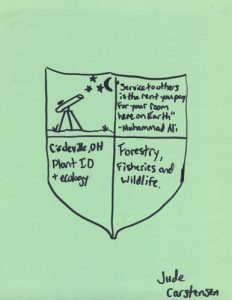 CC values for all of Ohio’s plants can be found in the Ohio Environmental Protection Agency’s web site. 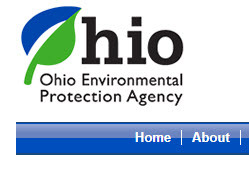 Click on the image below to navigate to the Ohio EPA reports page which includes the CC/FQAI material. The original FQAI REPORT published in 2004, also available as a direct download HERE (link). An excel SPREADSHEET published in 2004 using older species names that may in fact be consistent with our older field guides, also available HERE (link). An html version of 2014 update of the spreadsheet available HERE (link). Using the CC data in either of these sources, look over the list of species you have compiled for your site. 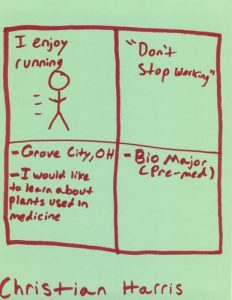 Select FOUR OF YOUR HIGHEST CC (conservative) species and FOUR OF YOUR LOWEST CC species (weedy plants, essentially). Provide photographs, descriptions, and natural history facts about each of them. A paragraph describing the site. A map showing the location of the site. Plants! Provide both common and scientific names, the latter written properly in terms of capitalization and italics. Photo-document two new trees, two new shrubs or woody vines, and two flowering or fruiting plants that can be identified to species. For at least 3 of the plants, include some interesting “fun facts” about their natural history such as human uses for the plant, animal interactions (host plant for certain moths, for example), conspicuous floral displays, etc. One more thing; get poison-ivy! Oh, I don’t mean it that way. Locate some (either at your survey site or elsewhere), photograph it, and set forth the features useful in identifying the nasty stuff. Due Thursday October 27, and counting as 5 points of Quiz 5, reading reviews (handed out in class Thursday and also available HERE (link) focuses on these articles/chapters. Here they are in portable document format for you to download or read directly. Hi ho Fans of the Fens, Promoters of the Prairies! PART 1: MARSHES,PRAIRIES AND FENS. Great work at the marsh, prairie and the fen! The blogging assignment for this week will be PART ONE of a combined “Field Trips” page worth 30 points. Please do the following. a) MARSH. 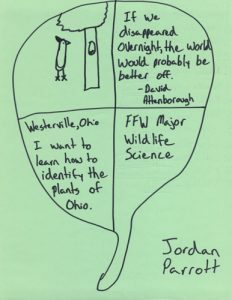 Give a brief description of the marsh we visited along Darby Creek Drive. Mention the dominant plants of each growth form we saw there (i.e. woody plants, herbs, and weeds) and at least one labelled plant image you took. a) PRAIRIE. Give a brief description of the restored tallgrass prairie we visited at Battelle Darby Metro Park. Mention the dominant plants of each growth form we saw there (i.e. woody plants, herbs, and weeds) and at least one labelled plant image you took. b) CEDAR BOG THAT ISN’T A BOG. 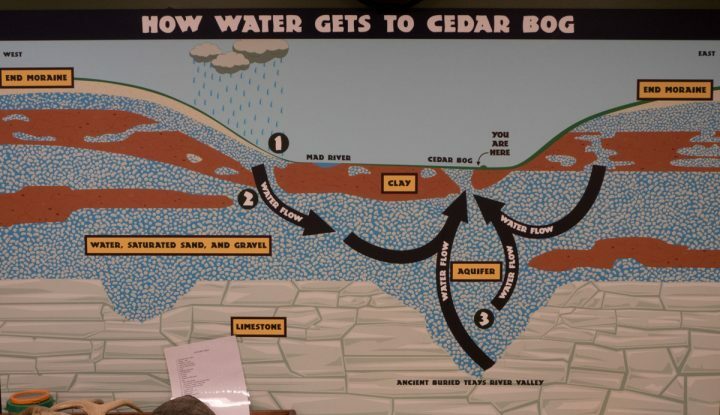 Give a detailed description of the Cedar Bog hydrology and explain the differences between bogs and fens, and why Cedar Bog is perhaps misnamed. 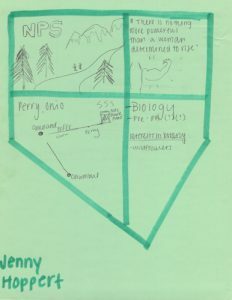 Describe the unique ecological conditions there and what causes them (geology). 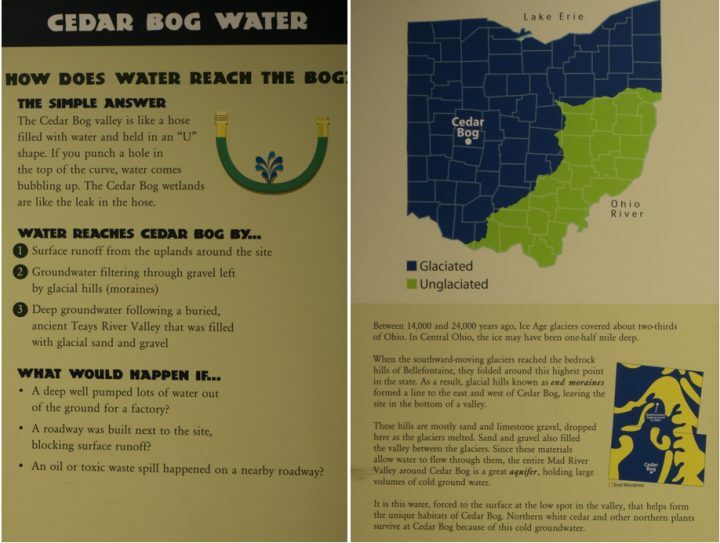 Below, see some of the interpretive material that on display at the nature center. 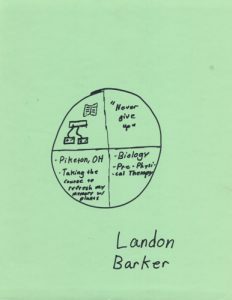 PART two: HOCKING HILLS (due Thursday September 27). Great work at the woodland and meadow! The blogging assignment this week will be simple and short, but due sooner than usual (Thursday). 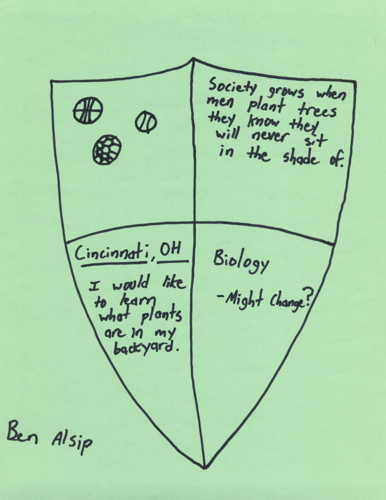 There are the following four parts. A comparison of the geology and vegetation at Deep Woods with that at Cedar Bog That Isn’t A Bog with specific reference to the woody species mentioned by Jane Forsyth in the “Geobotany” article. Please post photos and descriptions of the low pH sandstone bedrock plants you observed at Deep Woods. 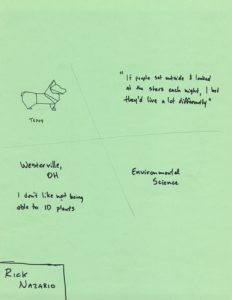 The specific interesting plant or plants you were assigned (the “index card” plants). 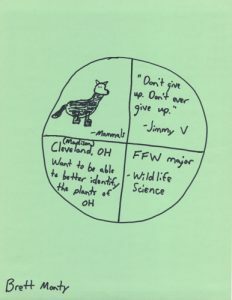 Include the following for these plants: your photo of the plant; how to distinguish that plant from similar plants of its type, and; one or more interesting natural history notes such as human uses of the plant, insect associates, noteworthy tie-in to biogeography or geological history. 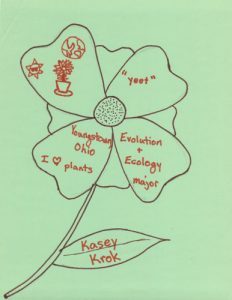 One additional distinctive botanical feature that was new to you, selected among the many things Dr. Klips and Ashley pointed out. These might include (but are not limited to) the reindeer lichens, the three lichen growth forms, Appalachian gametophyte, the ferns with different frond types, American chestnut, butternut, sword moss (Bryoxiphium norvegicum), beech-drops, two lycophytes, several members of the birch family, Tetraphis moss. 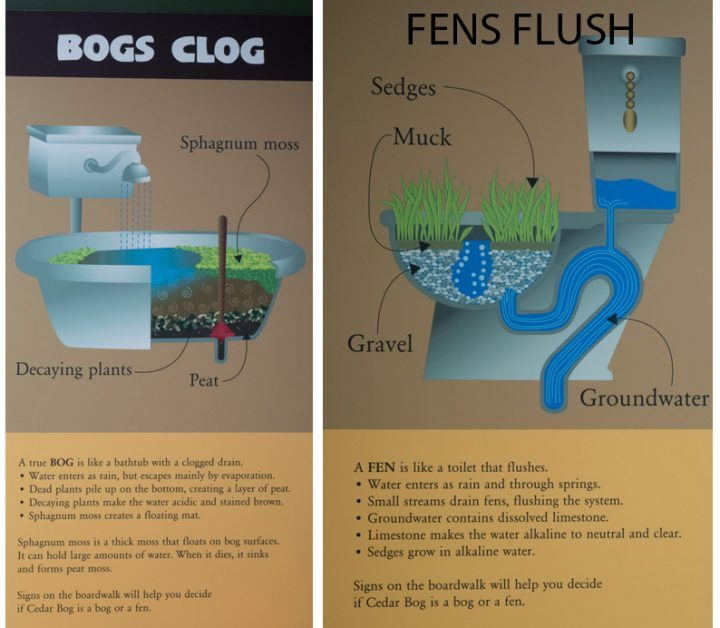 Bogs clog and fens flush. Set forth the most important part: the discoveries you made fulfilling the “scavenger hunt” assignment (in most cases two plants that met certain criteria). 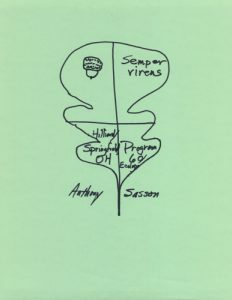 For the two plants, include your PHOTOS of the plants, how to recognize them, and at least one additional outside reference natural history fact about each plant. Yippee! Please complete this PART 1 by Monday September 25. PART 2:WOODLANDS and MEADOWS (details TBA –due Thursday September 28). This week we will apply and extend the flower and fruit analysis skills that we learned last week. Go out into the world and discover 6 wild (not cultivated) plants in flower and 6 wild (not cultivated) plants bearing fruit for a total of 12 different plants. Identify the FLOWERING species using your Newcombs Wildflower Guide. Photograph each one, several images per plant of you wish. 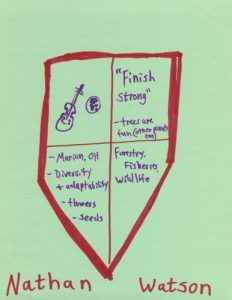 The six flowering plants must each belong to a different family. The six fruiting plants must each be a different fruit type. 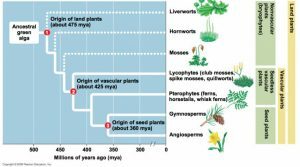 common and scientific names for the flowering species, the latter written properly in terms of capitalization and italics and the plant family each belongs to. 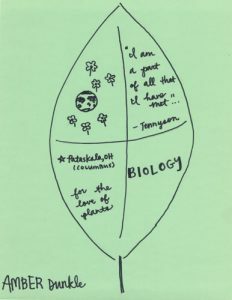 a description of the flower in terms of the features we covered in class: symmetry, fusion of parts, numbers of parts, relative insertion of flower parts (hypogyngous, perigynous or epigynous), gynoecium type (unicarpellate, syncarpous, or apocarpous). have fun with this; be creative! 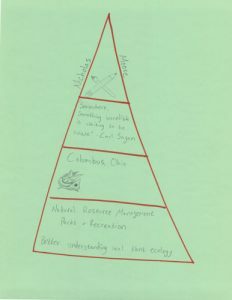 Tree Assignment Content Guidelines: For context and inspiration, read this article in a recent New York Times (LINK). Cite and expand upon the points that Popkin makes in your tree page. Isn’t it a nice coincidence that the species illustrated –eastern redbud (Cercis canadensis) –is the same tree we started off our trees lab with? Great minds work in similar ways. This week we will apply and extend the tree identification skills that we learned the past two weeks. Go out into the world and discover 8 wild (not cultivated) broad-leaved (not conifers) trees. Identify them to species using your Peterson’s Field Guide to Trees and Shrubs. At least half of them must belong to different genera than the 8 we learned in class. Photograph your 8 trees close enough up (close up enough?) (up close enough??) to see the features that allow it to be recognized for what it is. Provide one or two photos of each tree –perhaps one showing the overall shape and form, and definitely one showing leaf details. common and scientific names, the latter written properly in terms of capitalization and italics. 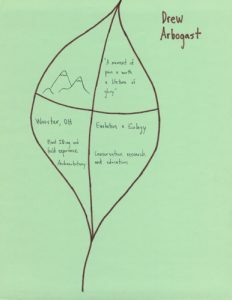 a written description of the pertinent identification features: leaf arrangement, complexity, and other traits that, taken together, distinguish that particular species. where you saw the tree, both the site locations and the habitat (type of environment, i.e., swamp forest. 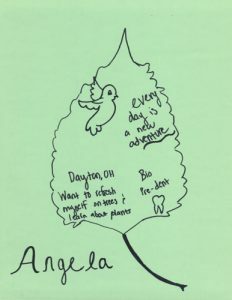 for each tree, provide at least one interesting statement about the tree’s human or natural ecology that you hadn’t known before. Mention the source of your information and, in the case of internet sources, provide a hyperlink to that source. 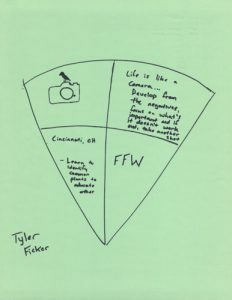 have fun with this; be creative, and be sure to compare your experiences with the ones recounted by Gabriel Popkin in the “Tree Blindness” article you read. 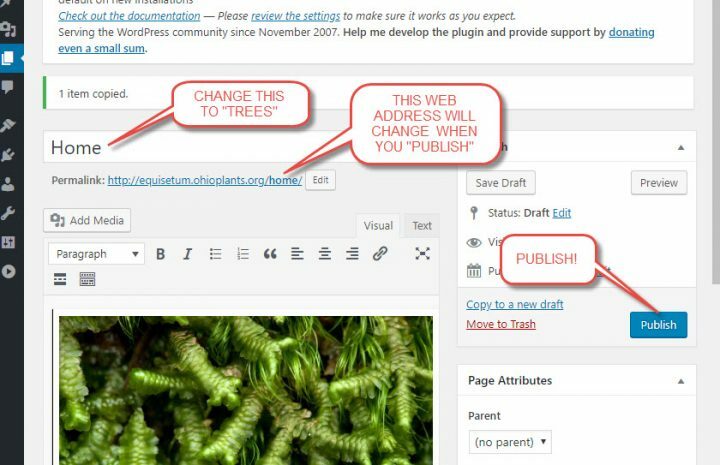 Tree Assignment WordPress Guidelines: We want want pages (not posts) and we want those pages to be formatted neat and simple just like our HOME page (single column with no sidebars; info bar hidden; page title hidden; comments and trackbacks not allowed). Therefore please do NOT create a fresh new page for each new topic. Instead, “clone” your HOME page, and rename it, as follows. Delete what’s there and add new stuff being sure to use the text selection options (Header 2 for headers and Paragraph for everything else works well.) Note the options for boldface, italics, and the ability to add links. Adding media (photos) is pretty easy; just click the “Add Media” button and find the photo you want to add. You can upload photos of any size (pixel dimensions) and WordPress automatically creates a set of lower-resolution versions. Note the options displayed on the right-hand side of the media page. In most instances you will want to use “Large” size (800 px wide), centered. You can add a caption when you upload, or afterwards while you are editing your page. Let’s begin this adventure by launching our web sites. 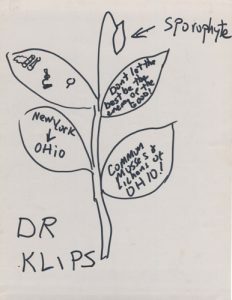 Your web site is a subdomain of this very web site (www.ohioplants.org). 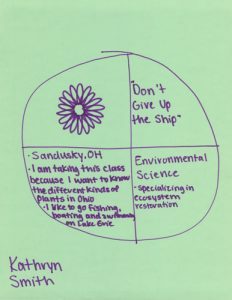 The Universal; Resource Locator (URL) for your site is the genus of one of Ashley’s favorite plants (dot) ohioplants.org. For convenience, see below, where there are links to your sites. To EDIT your site, simply enter into the browser bar your site name with “/wp-admin” added to it. To log in, enter the username and password you were sent in a recent email. Welcome! Add a header image and introduce yourself! Add a new image, following the prompts. 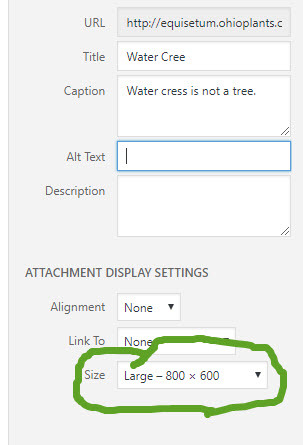 The image adding procedure allows cropping, so the header picture doesn’t have to already be 1100 x 200 pixels, but you might want to start with an image with those dimensions. Introduce yourself on your homepage. 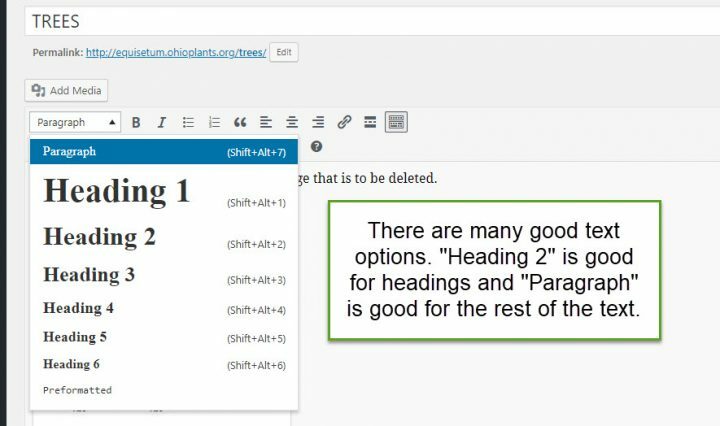 The editor has two options –“visual” and “text.” “Visual” is quite WYSIWYG and works like a word processor, and is the mode you’ll probably always use unless you really like hypertext markup language. Delete the text that is currently on your home page. Please do not delete this page and make a new one, but rather edit (i.e., add content to) this page. 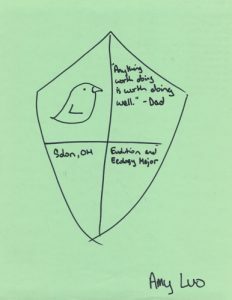 Add a few fun biographical tidbits (or many, if you are so inclined) to this page. 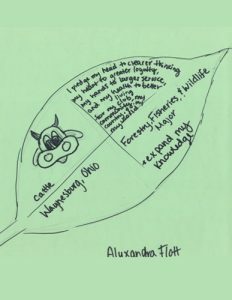 Suggestions: your academic and personal interests and career goals, your favorite plant, aspects of the natural world that most interest you, a definition of “Botany,” what you hope to learn from this class, etc. Have fun with this! Clone your HOME page when you make new pages. 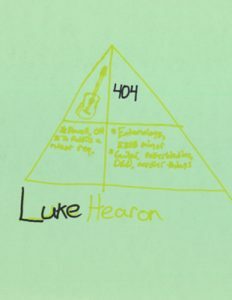 Note: For all the succeeding web assignments, you will make separate pages (PAGES, not POSTS!) 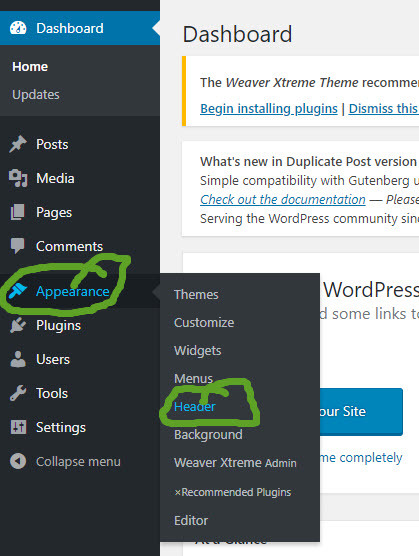 by going to “all pages” on the dashboard (two little pages icon) and creating a “clone” of your home page. Because the home page is formatted in the preferred manner (one column, no sidebars, no comments), please do not create new pages from scratch. Instead, clone your homepage, rename it, and replace what’s there with your new content.